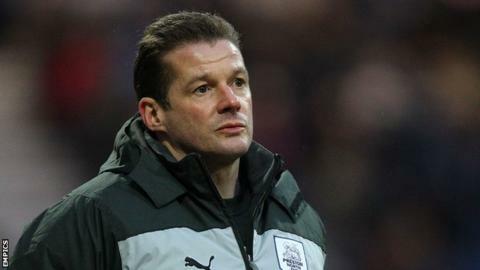 Stevenage boss Graham Westley has said he suffers great anxiety when his side fail to win games. Boro are 20th in League One and have lost their last two league matches. "Every game is something I have to win. If we don't win, on a Sunday morning it really doesn't work for me," Westley told BBC Three Counties Radio. "I get a real strong feeling of anger. A real strong feeling of frustration. A strong feeling of looking in the mirror and hating myself." He added: "That isn't a good way for me to be and live." Westley is in his third spell at Stevenage, having taken the club out of non-league and as far as a League One in his second stint, which ended in January 2012 when he left for Preston. The 45-year-old returned to Broadhall Way in March this year and, after winning once in this season's first 10 league games, has started to show progress with three wins from the last six. He has failed to win 65% of his 26 games since his return. "I need to win every game I'm involved in. As a human being, I can't sleep at night if I don't," he said. "I get very frustrated and find life very difficult if I don't win the game. I need to win every time I do something. "It's not a question of just needing to win because of a league position. That would be the last thing in the world that would drive me. What would drive me is my personal pride, desire and hunger."